Go beyond a teacher training! Let us help you discover your unlimited potential to inspire others to find theirs. • How to Be Your Own BOSS… and more! Led by Jennifer Rurka and Karly MacPhail featuring Kate Love and The Studio 85 Team you will leave this course possessing a firm foundation for teaching others, in addition to a stronger self-yoga practice, and awareness of the human of body, mind and spirit. Upon graduation, you will receive a Yoga Teacher Certificate with 200 hours of qualification and the confidence to lead a safe and effective practice. This will be the beginning of a very transformative journey. Price includes unlimited yoga and HIIT at Studio 85 for the duration of the training (July 19th – August 16th). A non-refundable $500 deposit is required once the application is approved. Please email us at info@studio85.ca to receive more information and an application. Is your 200hr certification offered through yoga alliance? Our apologies for the late response. Yes, it is! Because we are a new studio we are just finishing the process to be registered as a certified teaching school. Hi I’m interested in the teacher training. Which body would you be register certified under? Our apologies for the late reply. We are just in the process of registering our new studio under Yoga Alliance – will be good to go and a certified teaching school before the training begins! 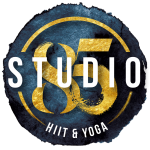 If you have any other questions or want more info please send us an email info@studio85.ca (we’re faster at replying to our emails) Have a great day!